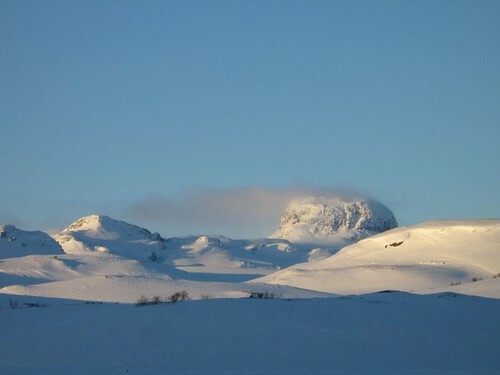 This Easter, after three days alone a bit further north, skiing from lake Tyin to Bygdin, I went hut-to-hut with two friends across Hardangervidda in Norway, Europe's biggest mountain plateau, from Haugastøl on the Bergen to Oslo railway, south-west to Haukelisæter east of Stavanger. The weather was best described as "variable", hence a paucity of good pictures, particularly at the end of the journey when it was cold, snowy, and misty, with very strong head-winds. In the continuation post below there is a rather fragmented set of pictures. Dan Schellenberg has made a nice clear screencast about how to use the new "forms" feature of Google Docs to create a form for people to fill in, with their information then fed back into a Google Spreadsheet. 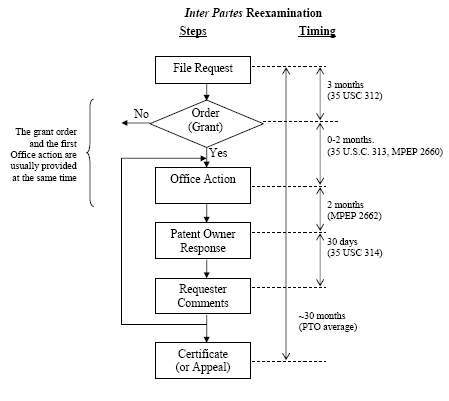 I reported that on 14 March 2008 the US Patent and Trade Mark Office had decided to merge the till now apparently dormant inter partes and ex parte re-examinations of Blackboard Inc.'s US Patent Number 6988138. On 25 March 2008 USPTO issued a non-final decision [1.7 MB PDF]. The net result is that all 44 of the claims made in the Blackboard Patent have been provisionally rejected, with Blackboard given 2 months to respond. The rejection is on the basis of several examples of prior art cited by Desire2Learn and by the Software Freedom Law Centre in their respective re-examination requests. (Particularly relevant, it seems, were the 29 April 1998 EDUCOM/NLII Instructional Management Systems Specifications Document Version 0.5, University of Nottingham's Ceilidh system, and the Irish Top Class system.) 30/3/2008. The provisional rejections sits alongside the previous invalidation of parts of the 6988138 patent by the US courts in the course of Blackboard's current infringement case. Blackboard has just prevailed in its patent infringement claim against Desire2Learn, and, as Michael Feldstein indicates, the impact of this development on that case is uncertain. And even if, as I personally believe it will, US Patent 6988138 is finally ruled to be invalid, the twin problems of the patentability (in some jurisdictions) of software (e-learning or otherwise)*, and of universities using the patent system privately to exploit student innovation and the outcome of publicly funded research, are untouched by this particular case. Blackboard holds an equivalent patent in Australia, New Zealand, and Singapore, which have neither been whittled down in the process of an infringement claim, nor has its validity been challenged (? ), as in the US. Furthermore, a number of other e-learning patents exist - see for example the Pearson Education patents listed some way down this August 2006 post by Michael Feldstein (or have been applied for), some of which are probably rather stronger, and most of which are far less in the public eye, than 6988138. For a long article, with informative quotes from key protagonists, including Software Freedom Law Centre's Eben Moglen, who does not mince his words, see this 28 March 2008 piece by Dave Nagel in THE Journal. "In summary, there will be two new bodies that will continue to drive ahead the huge agenda that we have been charged with since 2001. For young people there will be a new national Non Departmental Public Body, with some regional capacity, which will support local authorities in their new role in commissioning and funding 14-19 provision. Local capacity on 14-19 will therefore, as expected, be with Local Authorities. For adults there will be a new Skills Funding Agency, again with some regional capacity, which will oversee the distribution of funds to the sector and manage the performance of FE colleges. The Agency will also house the National Apprenticeship Service (NAS), the National Employer Service, and the Adult Careers and Advancement Agency. As has already been announced, the Train to Gain brokerage service will transfer to Regional Development Agencies in April 2009. Although there is still a great deal of work to be done to flesh out the detail of the proposals, what we now know is that in 2010 some of our staff will transfer to local authorities and some will move across to the two new organisations. Even before that, some staff will move over within the LSC to work for the NAS which is aiming to be up and running by April 2009 at the latest. Throughout the transition period we will work with and support all our staff as we move to the new arrangements." If anything it looks as if things will finish being at least as complicated as at present - eloquently described by Frank Coffield in The Impact of Policy on Learning and Inclusion in the New Learning and Skills Sector. Diagrams [130 kB PDF]. 23 August 2008 update. Here is a link to a 22 August 2008 post and media release following Coroner Sumner's release of a Rule 43 Report to the Lord Chancellor calling for a toughening of the rule and procedures governing sleep apnoea and road haulage. 19 April 2008. Here is a link to the recently published United States Department of Transportation's Federal Motor Carrier Safety Administration 28 January 2008 [216 kB PDF], which contains a comprehensive review of the evidence that sleep apnoea suffering drivers are at substantially greater risk of crashing than non sufferers, along with a comprehensive set to (joined up) recommendations on how to lessen the risks. 2 April 2008 update. Here is a document I've had a hand in writing: Preventing death and injury caused by LGV and PSV drivers falling asleep at the wheel – the case for a joined-up approach by Government [10 page 55 k B PDF]. Please feel free to pass the URL of the document on to interested parties. 26 March 2008 update. Today the National Institute for Clinical Excellence published its decision that sufferers from sleep apnoea should be eligible for NHS treatment [34 kB PDF]. Meanwhile the British Government yesterday launched a campaign to increase awareness of the danger of tiredness in drivers, saying that about 1 in 5 road accidents are caused by tiredness - perhaps equating to 600 deaths a year. So far these two developments have not been properly integrated by Government, with the campaign materials bizarrely silent on the problem of sleep apnoea. But with luck, it will now only be a matter of time before further measures are introduced to ensure that employers conform to their obligations under Section 3 of the Health and Safety at Work Act, by identifying sleep apnoea sufferers in their workforce and preventing them from driving until they have been successfully treated. Several weeks ago, through a roundabout route, I got into correspondence with Jonathan Hsu of Zoltantech in Taiwan, with the aim of getting hold of a USB-to-LAN adaptor for my OLPC laptop. Jonathan kindly remembered to tell me about Studio Fibonacci (the Zoltantech distributor of the adaptors in the US), and in passing Jonathan mentioned that he is in talks with OLPC about producing a USB-to-VGA adaptor, and also that he is looking for a UK distributor. Jonathan's email address is jhsu "AT" zoltantech "DOT" com. Most of this post is over 12 months old, included as background to the fact that the US Patent and Trade Mark Office decided on 14 March 2008 to merge [284 kB PDF] the so far apparently dormant inter partes and ex parte re-examinations of Blackboard Inc.'s US Patent Number 6988138. It remains to be seen if this means that the re-examination is now imminent, or whether the merger itself will cause the Software Freedom Law Centre, which made the ex parte application, and Desire2Learn, which made the inter partes re-examination application, to work with each other in the process. "When it comes to ‘security’ there is no such freedom. It’s ‘us’ and ‘them’, the IDF and the ‘enemy’; military discourse, which is the only discourse allowed, trumps any other possible narrative. It’s not that Israeli journalists are following orders, or a written code: just that they’d rather think well of their security forces. In most of the articles on the conflict two sides battle it out: the Israel Defence Forces, on the one hand, and the Palestinians, on the other. When a violent incident is reported, the IDF confirms or the army says but the Palestinians claim: ‘The Palestinians claimed that a baby was severely injured in IDF shootings.’ Is this a fib? ‘The Palestinians claim that Israeli settlers threatened them’: but who are the Palestinians? Did the entire Palestinian people, citizens of Israel, inhabitants of the West Bank and the Gaza Strip, people living in refugee camps in neighbouring Arab states and those living in the diaspora make the claim? Why is it that a serious article is reporting a claim made by the Palestinians? Why is there so rarely a name, a desk, an organisation or a source of this information? Could it be because that would make it seem more reliable?" The Independent Commission of Inquiry into the Future for Lifelong Learning, sponsored by NIACE, is putting out a public call for evidence on lifelong learning and technological change. Interested individuals and organisations are invited to submit written evidence to the Commission by Thursday 17th April 2008. What does the evidence tell us about the relationship between lifelong learning and technological change? Where are the gaps in evidence in relation to this theme? What key messages for the Inquiry we should extract? What are the implications of the access to, and use by, young people of information and communication technologies?" If you happen to have viewson this issue that you are willing to share, particularly evidence-based ones, feel free to post a comment here. They will certainly inform (within reason) any response that I am involved in writing, as well as what I say at a meeting that NIACE has convened in early April that I will be attending.